Karimoku Furniture was founded in 1940. Karimoku accumulated wood processing and painting techniques by subcontracting various wood products, including the manufacture of spinning machines and piano keys that required advanced woodworking techniques. In 1962, Karimoku began producing and selling furniture of its own brand. Today, the company owns four material factories, seven manufacturing factories, 28 sales bases, 26 showrooms, and one overseas sales corporation. Karimoku has developed a unique and unparalleled system spanning everything from the procurement of materials to production and sales. 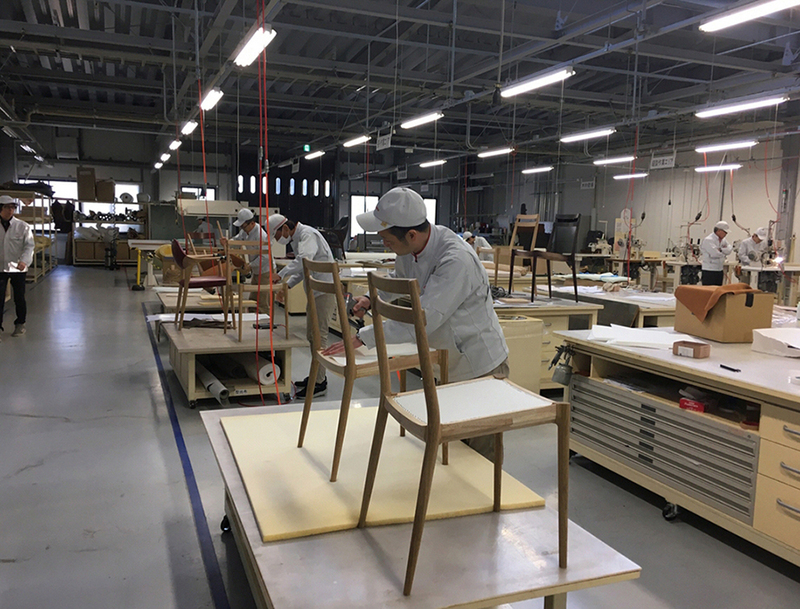 While introducing large-scale advanced production facilities, Karimoku remains focused on the pursuit of its original concept of “high-tech and high-touch, made in Japan”, so that it can fully demonstrate the skill and sensibility of its craftsmen. Currently, Karimoku is the leading manufacturer of wooden furniture in Japan and is steadily promoting its development in overseas markets.